Travel north from Cape Town and over the Piekenierskloof pass and you descend into a world that has a raw, awe-inspiring beauty. Purple-hued mountain peaks lean towards fruit-laden valleys sweet with the smell of orange blossom in spring. The rugged Cederberg Mountains are famous for their amazing rock formations, San rock paintings and spectacular flowers in Spring. Visit the mission village of Wupperthal, walk in the mountains and explore the ancient San rock art. Swim in the natural rock pools and breathe the deep peace of this area. In the Biedouw valley and towards the coast, the wild spring flowers are a spectacular sight in August and early September. 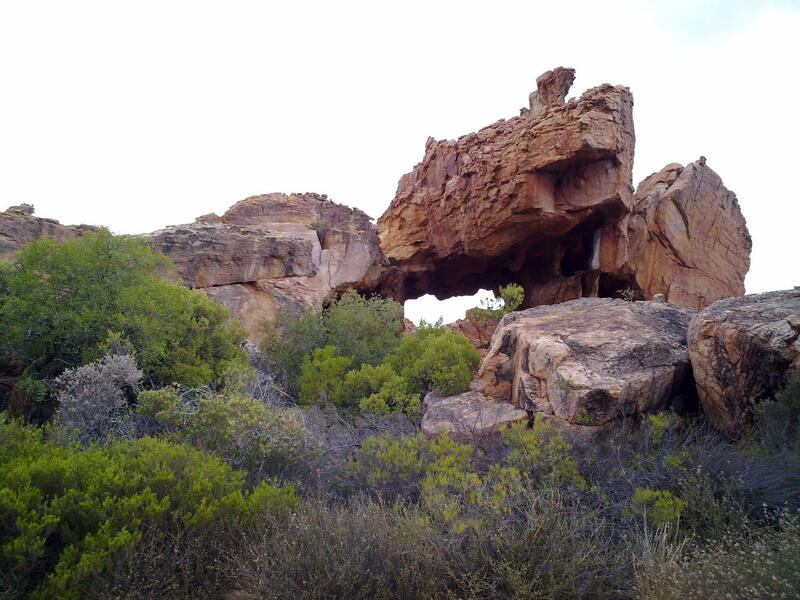 The Cederberg is one of the best areas for rock art in the World, with 2 500 discovered sites. Bushmans Kloof Wilderness Reserve and Retreat offers fantastic guided walking trails to some of the ancient rock paintings of the San people (they also offer outstanding five-star accommodation, a divine health spa and loads of nature activities). Viewing these rock art sites – a kind of ancient-day Facebook, one can almost feel the flow of life of these first inhabitants of the Cape. 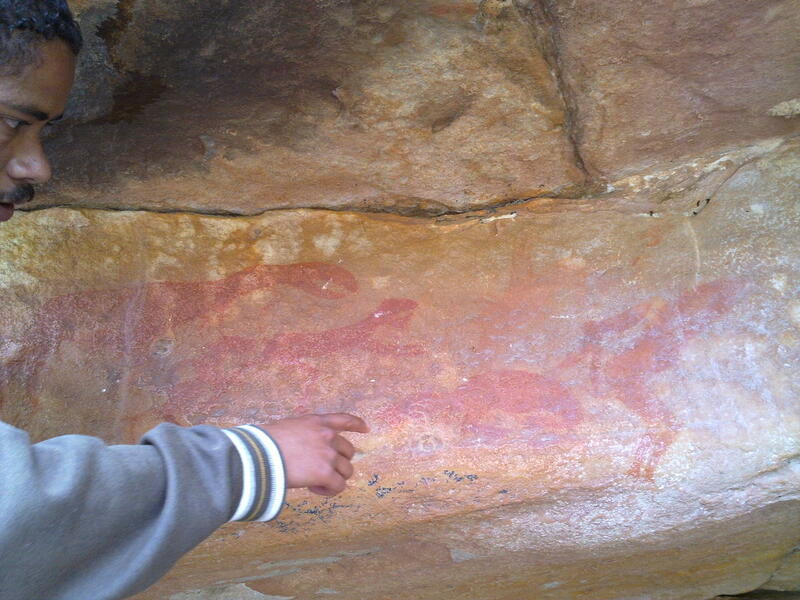 The Sevilla Rock Art Trail is on Travellers Rest farm about 40 minutes drive from Clanwilliam over the Pakhuis Pass. Buy a permit at the farm of Haffie Strauss before taking the trail. 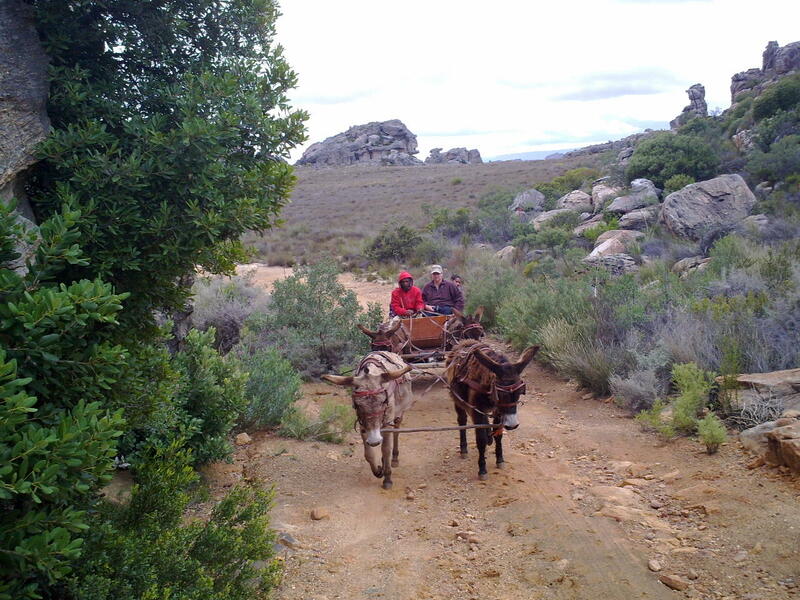 At Rocklands you can take the donkey cart ride to Heuningvlei. It begins at the top of the Pakhuis Pass (where you leave your car) and takes two-and-a-half hours to Heuningvlei. Opt for a shorter ride part of the way if you prefer. In Clanwilliam, be sure to stop awhile at Nancy’s Tea Room for lunch or tea. Clanwilliam is one of the ten oldest towns in South Africa. The area cultivates Rooibos tea, citrus fruits, table grapes and vegies. The citrus orchards can be seen along the Oliphants Valley from Citrusdal to Clanwilliam. All in all, the Cederberg is leisure-seeker’s paradise. The sights are utterly amazing and allow for a jam-packed itinerary of absolute visual splendour! Get more info from our Getaway Consultants. Looks fabulous! Would love to go there! It’s bursting at the seams with possibilities. There’s a huge choice of things to see and do, and accommodation options are within a broad range to suit different pockets. It’s especially appealing in Spring, with citrus blossoms and plenty of flowers to welcome you. It’s a great option for adventurous travellers too, with lots of day and half-day excursions that lead one to spectacular places. Such an unspoilt part of our beautiful Country.